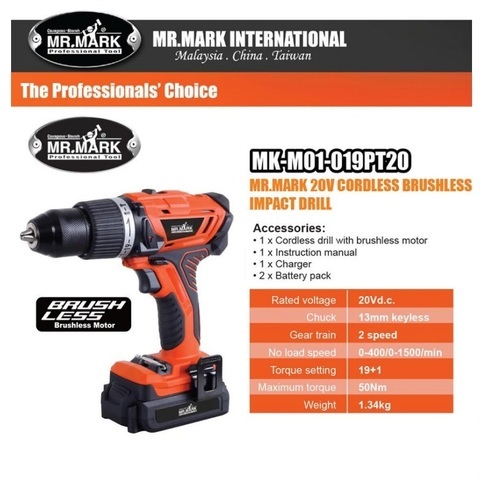 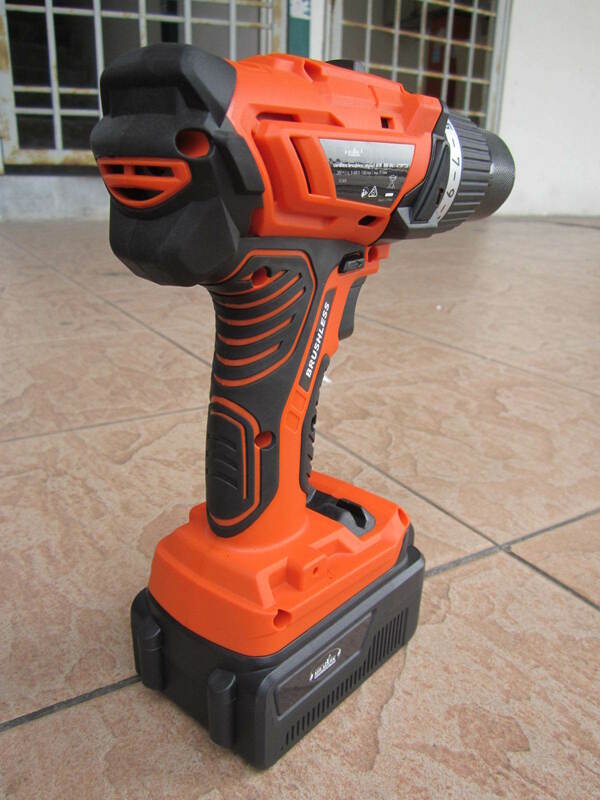 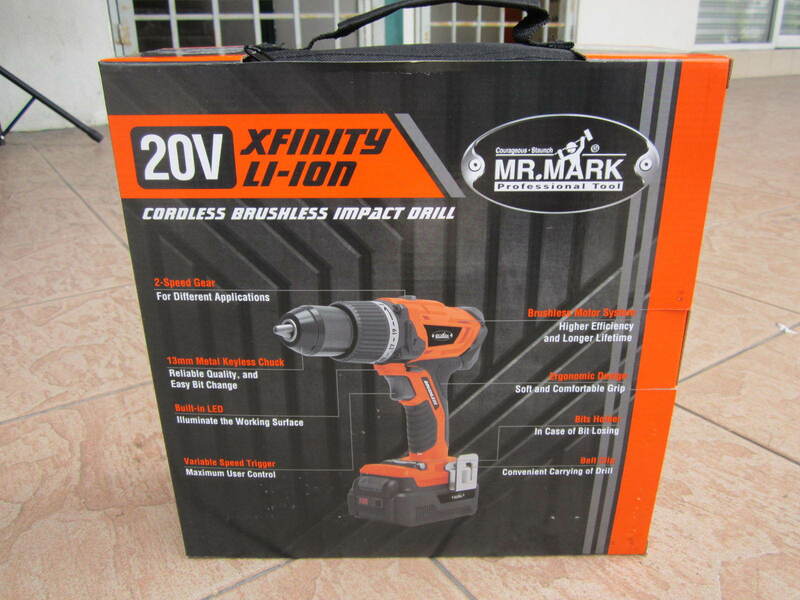 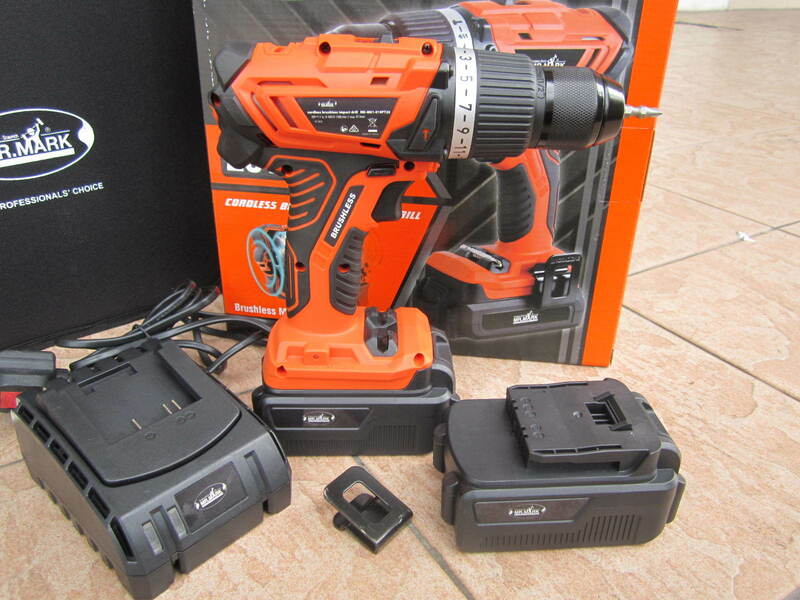 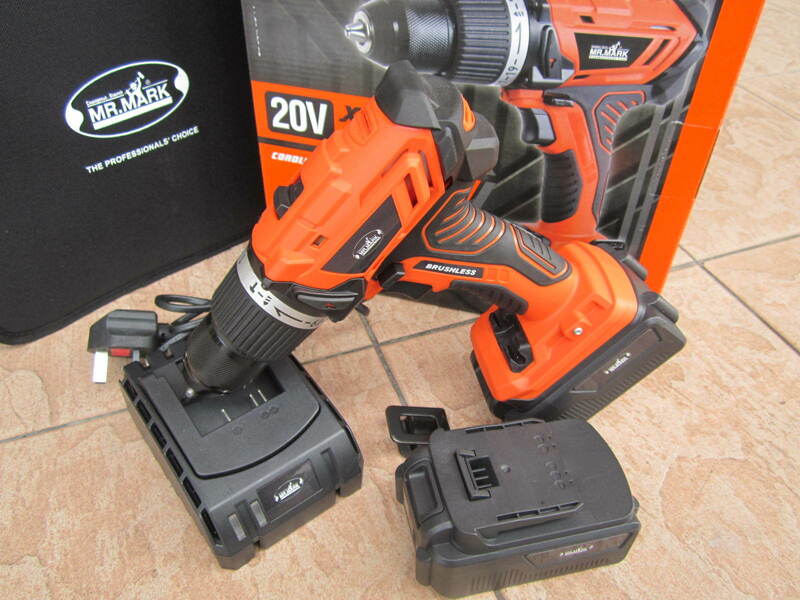 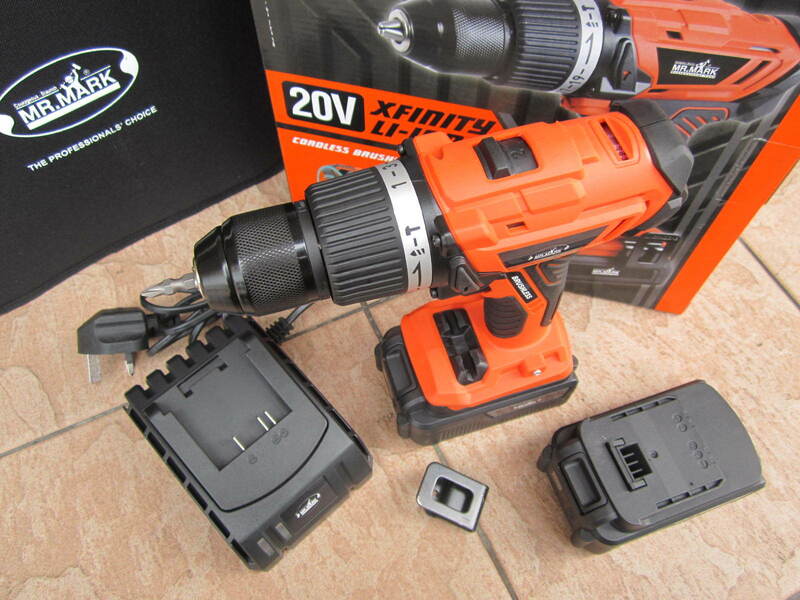 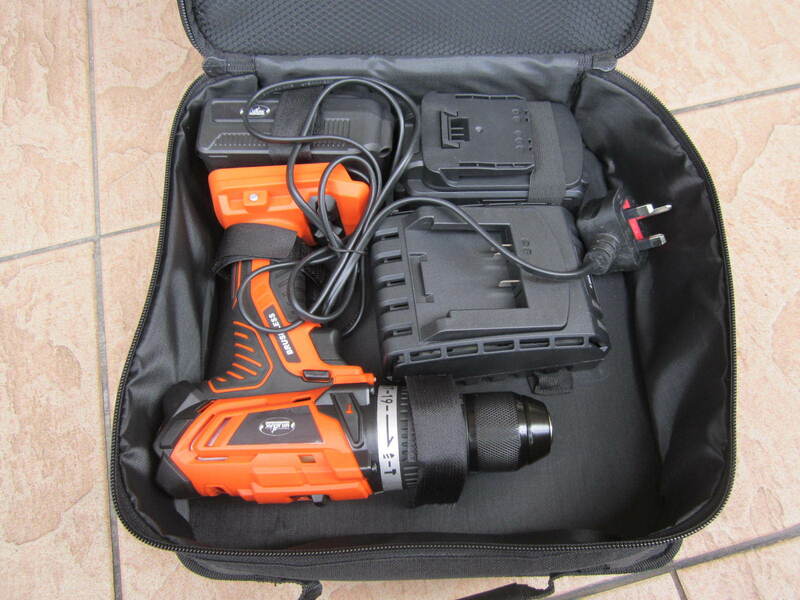 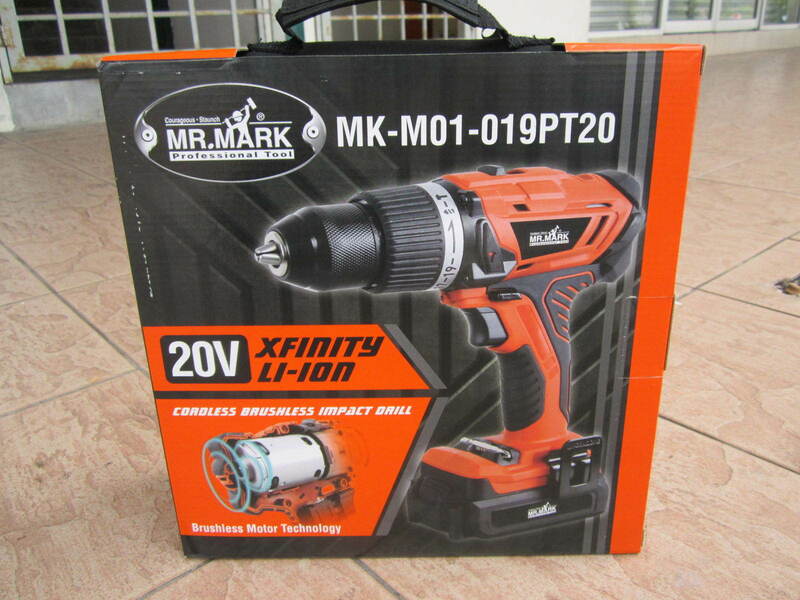 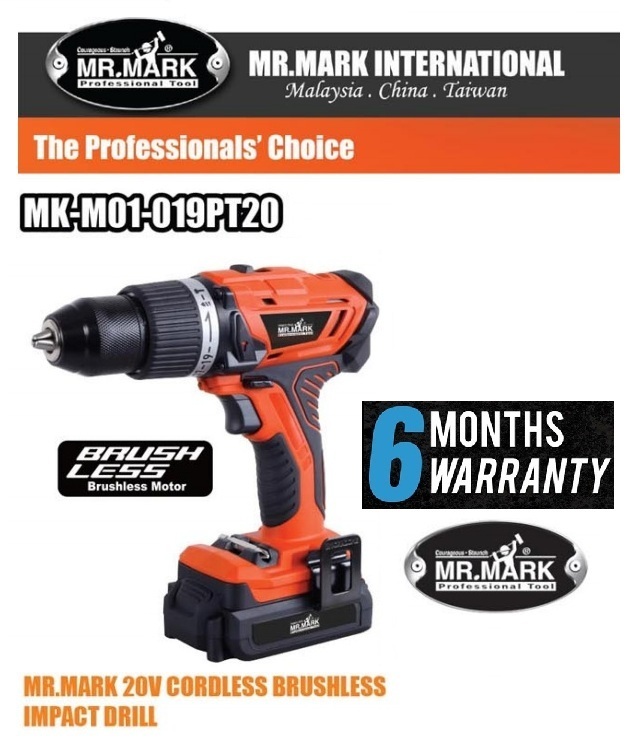 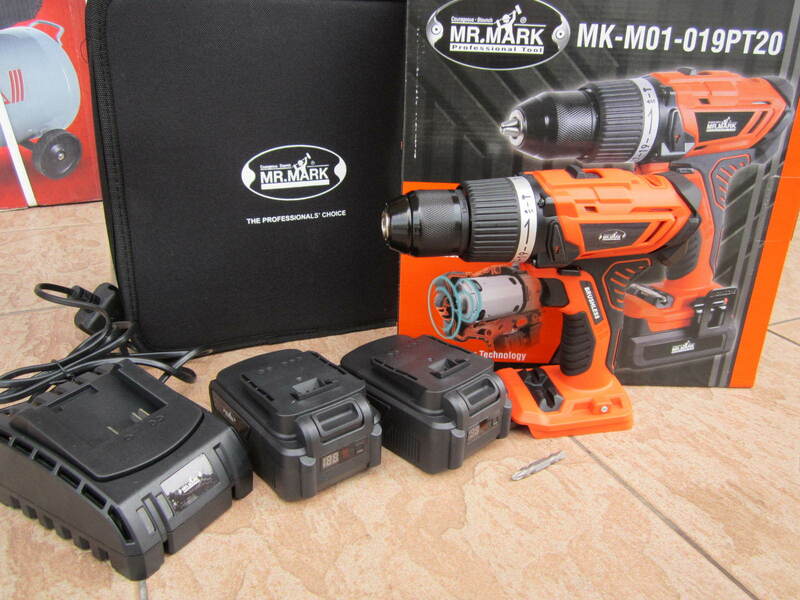 Mr.Mark Pro 20V Li-ion 13mm Cordless Brushless Impact Drill.. The Mr.Mark Pro 20V compact Brushless drill features a Brushless motor provides longer runtime and longer life. 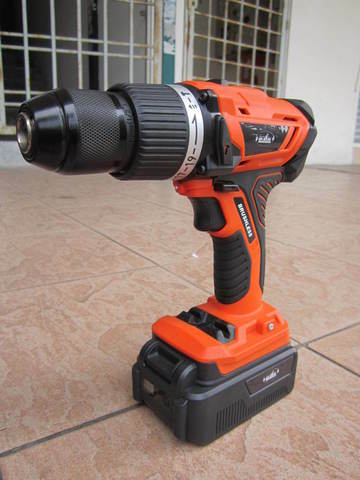 It has a powerful motor that provides plenty of power for heavy applications. 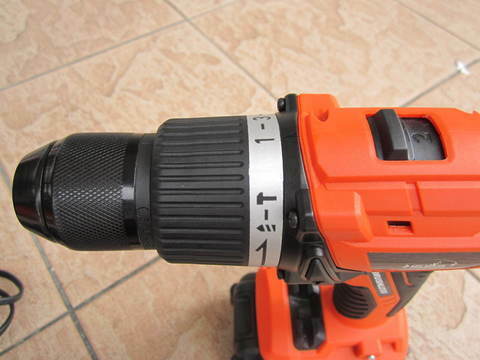 The drill's transmission is variable speed and has two speed settings. 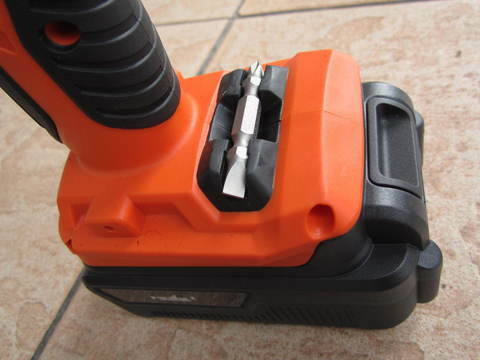 The high speed setting provides 1,500 max RPMs for drilling & fastening applications. Low speed has a maximum 400 max RPMs and delivers a max. 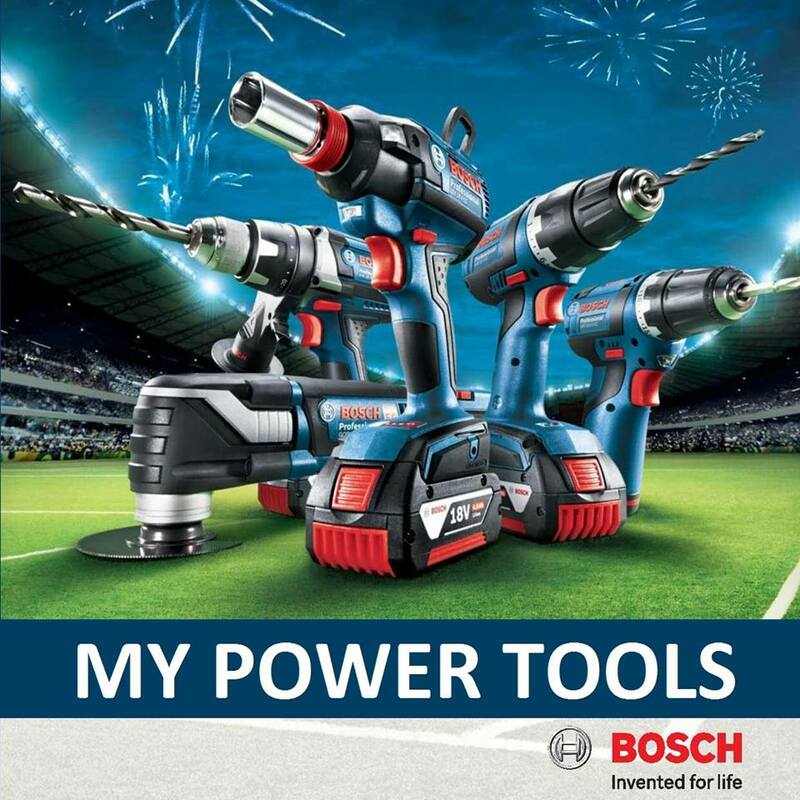 50Nm of torque. Its compact size allows it to fit into tight spaces. 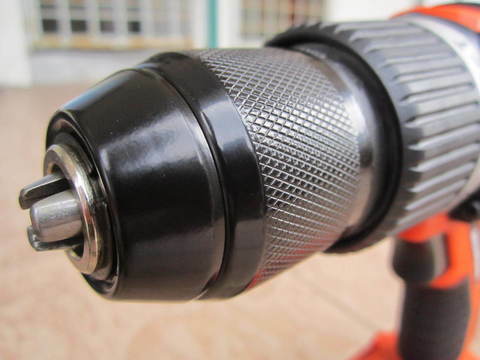 The drill is equipped with a LED work light, variable speed and a belt clip. 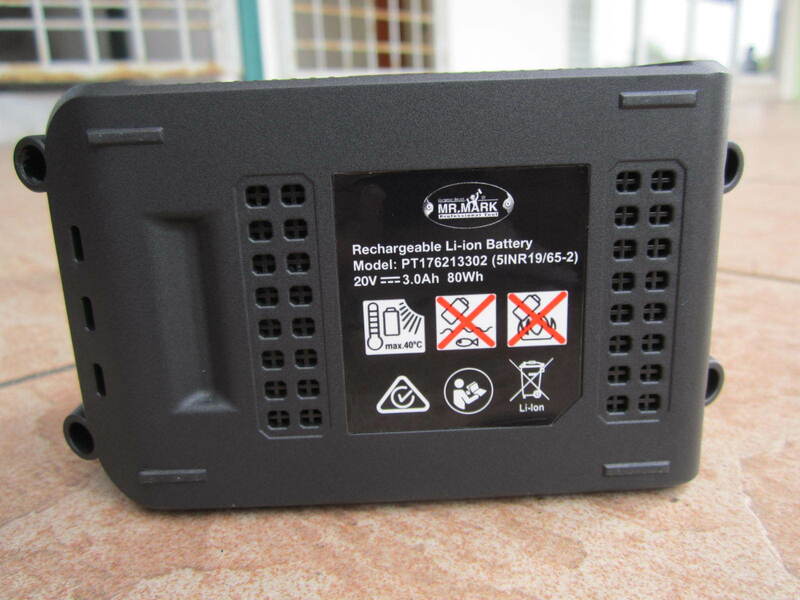 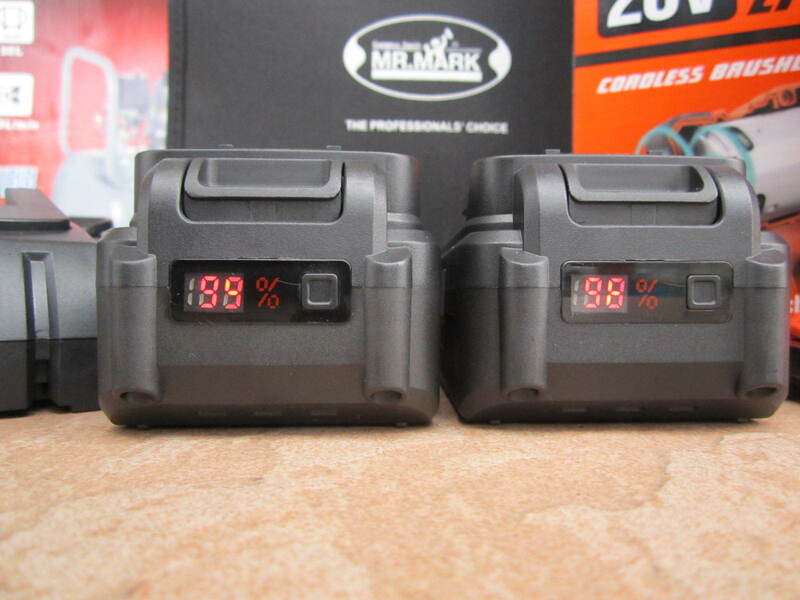 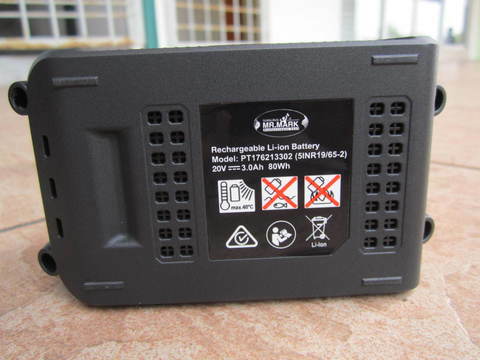 The 20V 3.0Ah battery provides plenty of run time to complete most applications.